Award-winning series Milgram And The Fastwalkers, a noir soap opera about UFOs, will launch its second season on Tuesday, December 2, 2014. The show tells the story of Dr. Daniel Milgram, M.D., a world-class psychiatrist in the field of abnormal psychology. Milgram's successful career turns into a turbulent hall of mirrors when highly-stressed new client, hotshot corporate litigator Sally Lemm, comes to him at wit's end complaining of strange dreams. And anxiety about UFOs. “Fastwalkers” is a term created by NORAD (North American Air Defense Command) to classify Unidentified Flying Objects which enter our atmosphere or leave it at a great velocity. 50% of people worldwide believe in UFOs. “I call it, General Hospital meets In Treatment meets Fire In The Sky," said series Creator and Executive Producer, Richard Cutting. Who could be better prepared for such an investigation than the world's preeminent psychiatrist? The truth is…No one is prepared for alien encounter. Sally's personal life unravels as Milgram becomes an inadvertent investigator into the dark world of alien abduction. In season two, her issues come to a head. "This season is visually compelling. We’ll meet several new and very odd characters who will up the ante big time for our established characters. The alien presence is getting stressful in their world for sure," Cutting said. "Everyone in Fastwalkers is deliciously flawed. It's about relationships between these imperfect people in conflict and how they cope. And less about about ray guns and aliens, although the scary stuff is definitely there. Sally has a world inside her she can't share with her fiance. Milgram's wife has problems and she and Milgram aren't dealing with them. Women of a certain age will identify with the women of Fastwalkers. It's about how men and women create situations they can't always handle very well. Especially as things they can't control arise. Fastwalkers is about how life can snowball on us sometimes," adds Cutting. Cutting thinks Fastwalkers brings a one-of-a-kind soap slant to the intriguing UFO topic. Public opinion polls from many countries collated over the last 50 years report that 50% of the population believes in the reality of UFOs; and 5% of the population has seen a UFO. Season One of the series is a 12-episode story arc. 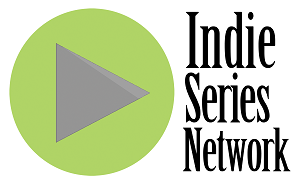 Season Two will be of similar length and will air through December and January, 2015. "With the huge success of our 12-episode season one, we are really looking forward to giving our fans the story’s next levels. Our fans are everything to us as we actively talk to show investors, sponsors, advertisers and product placement engagements. The Milgram And The Fastwalkers series is a real opportunity to simultaneously reach women 18-49 and men 18-25 on an ongoing basis," Cutting said. The Boys In A Tub productions show shoots in Baltimore and New York, and includes cast and crew members from New York, Los Angeles, Santa Fe, Baltimore and Washington, D.C. It stars Cutting, as Dr. Daniel Milgram, Walker Hays as Sally Lemm and Kate Revelle as Evelyn Milgram. The show’s music is provided by musicians from around the world. 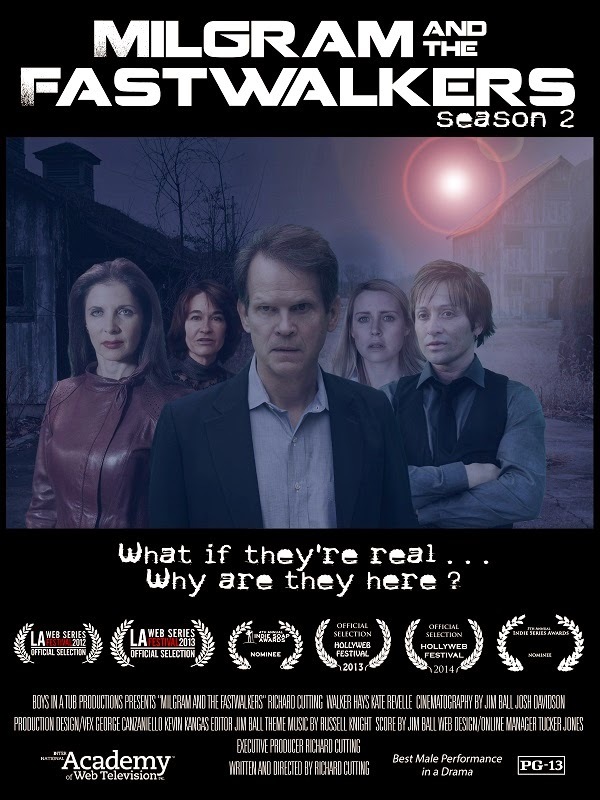 A full cast and crew list is available on the Milgram And The Fastwalkers web site.